Comparing Religions is a next-generation textbook which expertly guides, inspires, and challenges those who wish to think seriously about religious pluralism in the modern world. 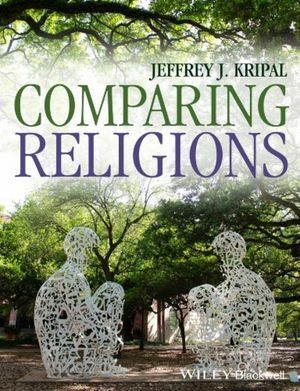 Jeffrey J. Kripal is the J. Newton Rayzor Professor of Religious Studies at Rice University. His most recent publications include Mutants and Mystics: Science Fiction, Superhero Comics, and the Paranormal (2011); Authors of the Impossible: The Paranormal and the Sacred (2010); Esalen: America and the Religion of No Religion (2007); and The Serpent’s Gift: Gnostic Reflections on the Study of Religion (2007).